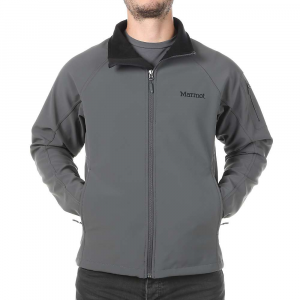 If a softshell and wind jacket mated this would be their offspring—a well-constructed piece that excels in certain conditions. 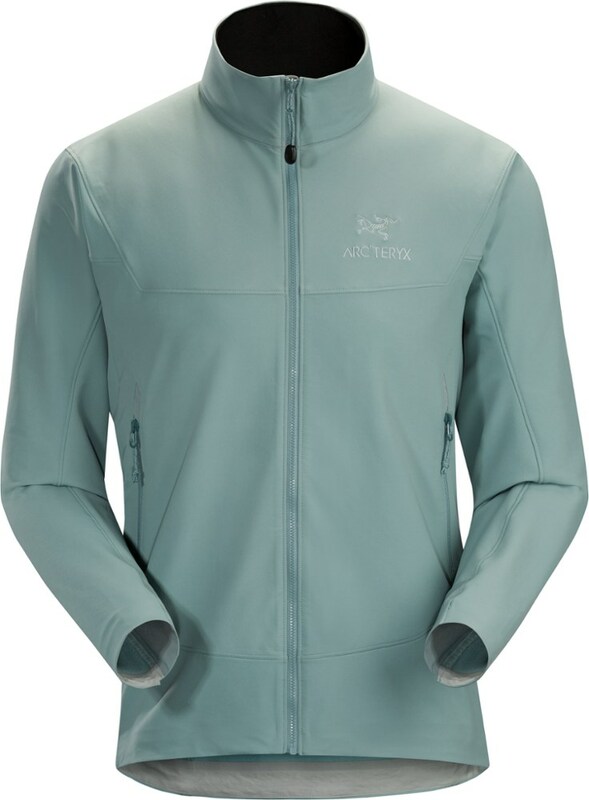 I'd been looking for an in-between piece that would cut the chill from the wind but still have some breathability on the trail when a fleece would be overkill. 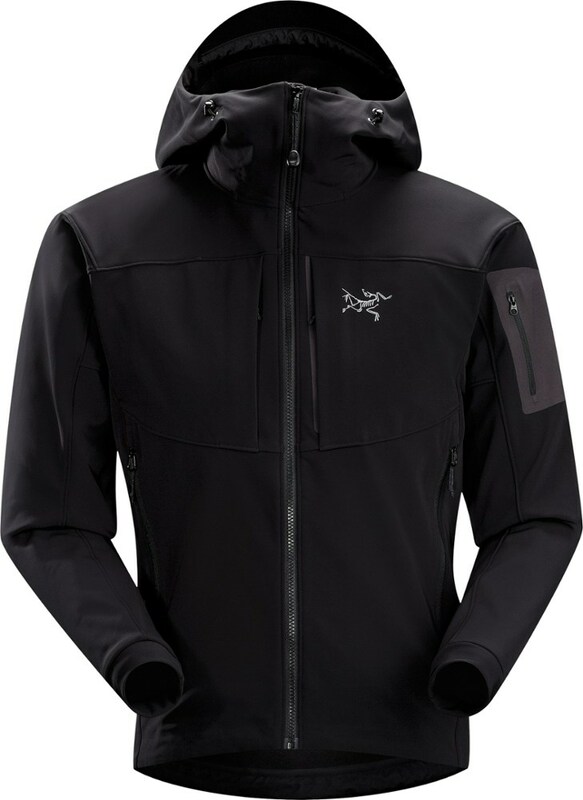 As an Outdoor Research fan I jumped at the Whirlwind Hoody when it was offered on their site for 50% off despite not seeing a lot of info on it. Big score. It's usually the first thing I pull from my pack and I find myself wearing it all day. 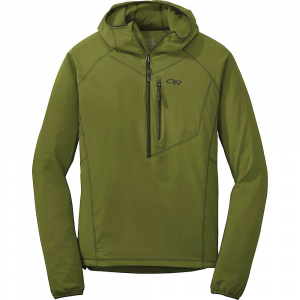 While it seems to have been designed for climbing and maybe trail running, it's been a great performer on the trail when backpacking or hiking. If you know the material of OR's Ferrosi line it's more of a lightweight version of that, which means you could roll around on granite all day with no worries about a tear. There's no sign of any pilling from pack straps after about six months of a lot of wear and the longer cut is perfect under a hip belt. Where it really stands out is comfort and stretch. At just 9 ounces you barely feel it on and, despite its "trim" fit, there's no limitation of movement. The adjustable hood sits close around the head but isn't restrictive and the non-binding cuffs keep the longer cut sleeves in place. Note that around the forearms the material is a little "blousy" but it's a non-issue if you're hiking. There is also a hidden thumb hole loop which I don't have a need for, and find it a little superfluous, but some may like it. There's a chest pocket with a smooth-operating zipper that I don't use, but seems like it would fit a phone or snacks. Given the lightweight material though I would expect it to sag a bit if full. 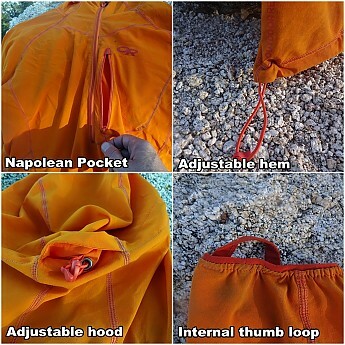 A great feature is you can stuff the jacket in to the chest pocket and zip it closed. When packed down it's roughly the size of a softball. 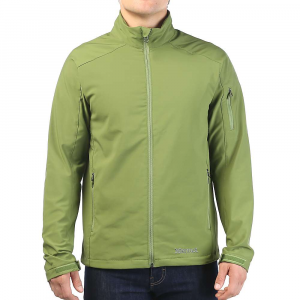 The elastic drawcord hem allows you to tighten up the bottom and the half-zip allows you to dump heat as needed. 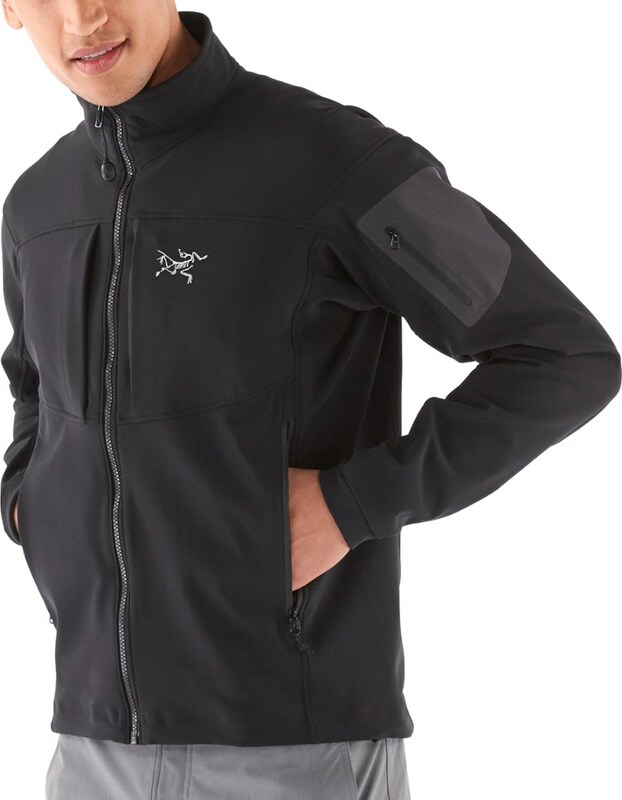 The only dings I've seen is that because it's a half zip it's going to take a little longer to put on and take off. There's also going to be some tradeoff in to how it performs in specific weather. It's definitely weather resistant but isn't going to provide the protection of a full on rain jacket or the wind cutting ability of a dedicated wind jacket. You're sort of getting some of each. Obviously there's no insulation so you can't expect a lot of warmth, but it still works to cut the chill when you pull in to camp. It's strong as both a mid and outer layer. 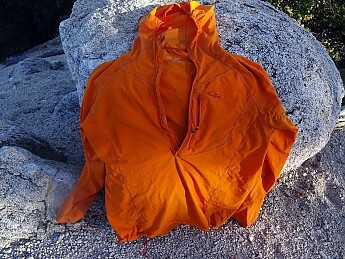 The conditions where it's worked best for me is as an outer over a merino T-shirt/baselayer when hiking from between about 40 and 60 degrees, over a low-profile fleece down to about 25°, and over a down puffy when it's snowing. 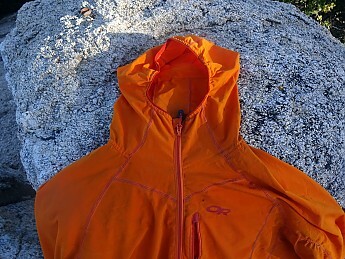 If it's dry and gets cold I tend to just keep it on and throw a fleece or puffy on over it. And a surprise to me, as a guy who sweats buckets, is that it doesn't hold the stink like I thought it would. I fully expected needing to wash it frequently but it hasn't been the case. I threw it on some granite and took a few shots of the features. Because I go out solo I tend to lean towards brighter colors and while their "Bengal" color is orange it's definitely not Hunter's Orange. Much more subdued than that but probably not something you'd wear around town. Given the use I've gotten out of it already, and what I expect to get, I'd probably pay full price for it. 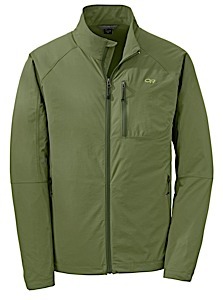 But if you can grab it on sale, and need that in-between piece, the Whirlwind Hoody should definitely be a consideration. Thanks for sharing such a helpful review and pictures, TJ!